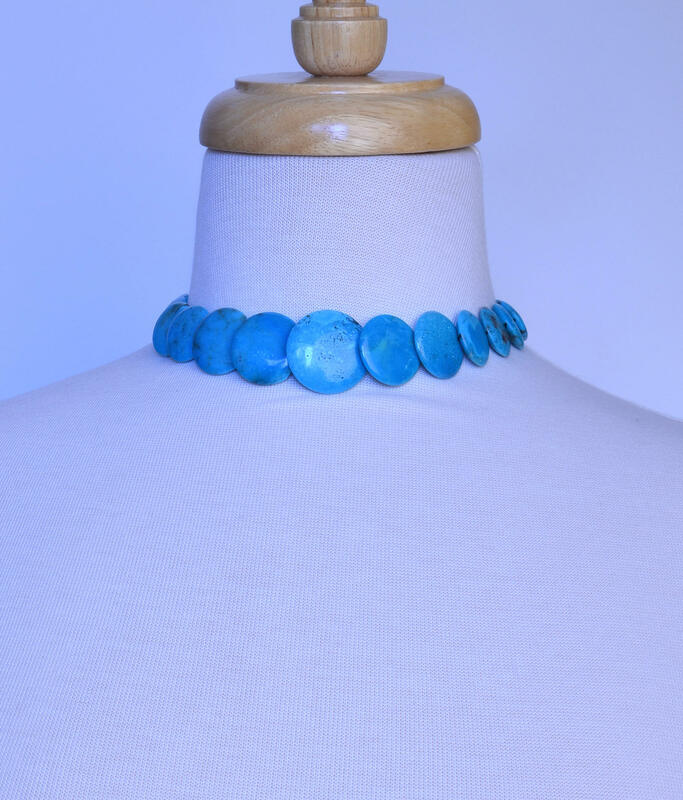 Here's a fabulous set of graduated old Lone Mountain Turquoise disks. I bought them from the owner of the mine (or one-time owner, apparently it has changed hands frequently). They are drilled at an angle so that the disks overlap each other slightly, making a very nice composition. 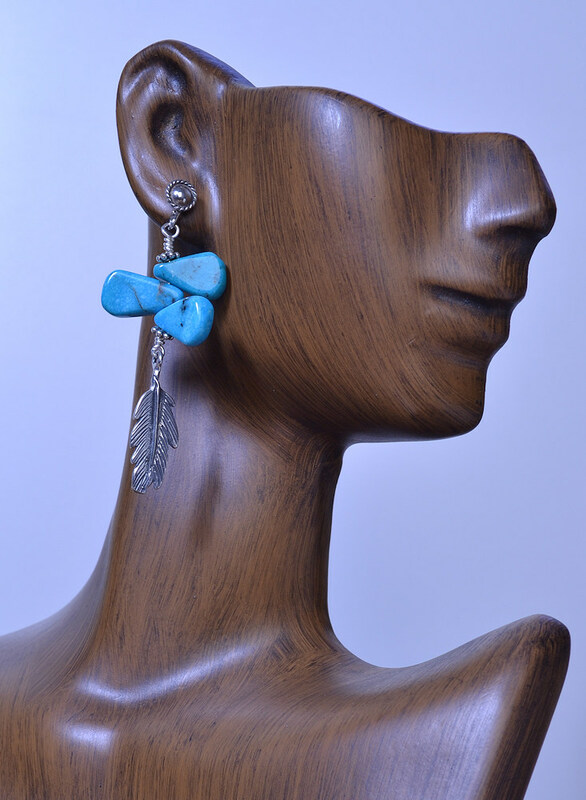 The picture on the mannequin shows the necklace at the shortest length and the attached extension allows it to be worn at longer lengths as well. The Lone Mountain mine is no longer in production though their facebook page says production will resume in 2016. Raymond Yazzie, of the famous Yazzie jewelry family who uses only the very finest Turquoise, observed, "The Lone Mountain and Lander Blue mine are coming to be like diamonds with how much you pay for the turquoise" (quoted in a 2014 article in Smithsonian Magazine here with a lovely video Glittering World: Navajo Jewelry of the Yazzie Family). The Waddell Trading Company on an undated web page claims that only the Lander Blue is more valuable than Lone Mountain, Lander Blue being the legendary "hat mine" that was so small you could cover it with a hat. In total it produced only 90-110 lbs of Turquoise. 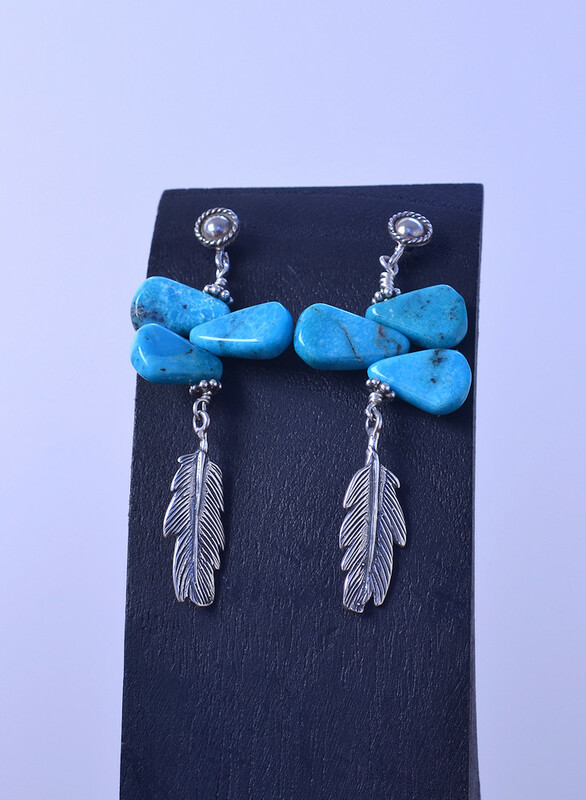 Turquoise has a beautiful reputation around the world. 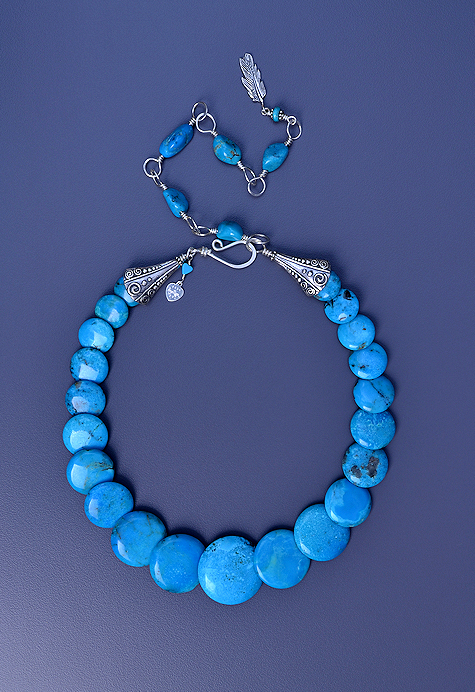 Judy Hall mentions an Arabic proverb, "A turquoise given by a loving hand carries with it happiness and good fortune." Perhaps someone you love would like this set?